WOW!! You can't get any closer to the Town of Olds without being in it. This 9.83 acre property is across the road on 70 Avenue from the Highlands sub division. This property has lots of trees, 2 modern homes and a spectacular mountain view. The main home was built in 1995, is 1170 sq. ft. and has 3 bedrooms and 2 four piece baths. This home also boasts a forced air furnace and infloor heating. This house has a double attached garage 25' 9" x 26' 0". The second home was built in 1997, is 1039 sq. ft. 2 bedrooms & 1 two piece bath, 1 three piece bath & a 4 piece ensuite. This home also has an attached garage that measure 24' 2" x 26' 0", and also has forced air & infloor heating. This acreage has lots of trees for privacy, a pond which has a gazebo overlooking, a wood working shop, greenhouse, outside pizza oven, sheds for extra storage. 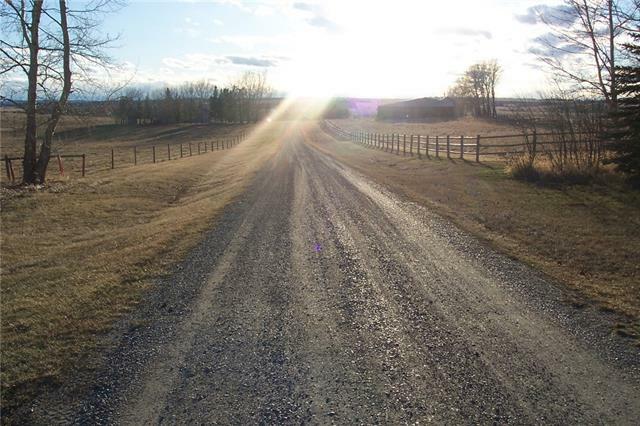 This property is the best of both worlds for acreage living 2 minutes from shopping. Let your tenant help with payments. Seeing is believing. BOOK A SHOWING TODAY! Home for sale at Rural Mountain View County, Alberts T4H 1T8. Description: The home at Rural Mountain View County, Alberta T4H 1T8 with the MLS® Number C4225896 is currently listed at $869,900.